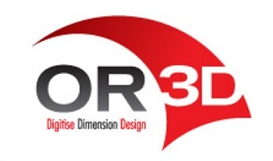 OR3D is providing 3D laser scanning and CAD modelling services to the project. Using Mantis Vision F5 scanners, they are providing dynamic scanning capabilities during wind tunnel tests. Utilising specialist reverse engineering and organic modelling software from Geomagic, they are able to process the scan data into 3D CAD models that can be used by us for CFD analysis. FlySight are a Canadian based company that make GPS devices specifically designed for wingsuiters. Most GPS trackers allow the pilot to review data after the jump, but the FlySight GPS allows for real time audible feedback of the pilot’s glide ratio, and horizontal or vertical speed. This speeds the learning process for the pilot. The FlySight GPS will be used on all the training jumps to allow the pilot to tune his body position and on the world record attempt jump as an accurate log of what the team achieved. Southpoint Films are delighted to be supporting the Icarus Project by providing the students with the guidance needed to document the project with video from its infancy through to the world record attempt. Their professional team will be providing one-to-one support to the students involved with the filmmaking aspect, as well as offering additional resources where necessary to record and promote the project’s successes. OR3Mantis Vision develops and produces 3D imaging tools and content creation software. Its flagship product, the MVC-F5 hand-held imager, is revolutionising the 3D imaging industry. This is the only imager specifically designed to meet the stringent demands of field operational use. Customers from defence, law enforcement and forensics agencies; architecture, engineering and construction companies; automobile manufactures; research and education institutions; oil and gas organisations and 3D service providers, are reaping the benefits of one, small, flexible device for a wide variety of scanning requirement’s. Small items, car-sized objects and complex scenes are captured effortlessly in seconds and minutes. Mantis Vision’s proprietary technology enables 3D model capturing of highly dynamic scenes. At the core is a breakthrough single frame coding method for structured light imaging. The MVC-F5 hand-held imager is capable of automatically capturing a dense 3D point cloud model of the environment in each frame. Hundreds more points are decoded while maintaining high accuracy.